I have met a lot of patients over the years, and most come with some good stories. 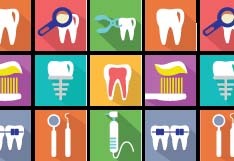 When I see a patient with a broken tooth, I always ask for the back story, not just because some of the stories are entertaining (yes–people still open beer bottles with their teeth), but also because it helps me to form my diagnosis and helps me figure out which treatment options are going to be most appropriate. And I get to know my patients a little bit better. From listening to my patients speak, I’ve heard a lot of ideas and explanations that are common, but not correct, so I'm clearing up the 5 most common dental myths. 1) If it doesn’t hurt, there must not be a problem. A lot of new patients come into the practice, head hanging low, and feeling a lot of guilt that they haven’t been to the dentist in years. And now, finally, a tooth broke. They tell me, “I know it’s been years since I had my teeth cleaned, but I figured that since nothing hurt, everything must be okay.” After I reassure the patient that we don’t judge or scold people, I take the opportunity to educate them. I wish teeth, or even the body, worked that way–where being pain-free meant we were healthy, and feeling pain was our signal that something needs attention. Unfortunately, cavities, cracks, gum or bone disease, and even infections, sometimes don’t hurt until the problem has gotten quite advanced. I compare it to high blood pressure, nicknamed “the silent killer”. Most people feel no pain until they experience a major event, like a stroke or heart attack, although in the meantime, damage is being done. Problems of the oral cavity are very similar. Cavities, when small, usually cause no symptoms at all, and are easiest (and quickest) to take care of at that point. When the tooth starts hurting, the cavity has usually reached the nerve inside the tooth, and treatment becomes a lot more invasive and costly. The moral of the story: prevention is best. If you see your dentist regularly, recommendations can be made to help you avoid needing treatment. Problems can be detected early, well before you start to feel that something is wrong, and treatment options tend to be less invasive, cheaper, and quicker. 2) If my gums bleed when I brush or floss, I should leave them alone. This myth is one where I can understand the patient’s thinking behind: "If you see blood, you should probably stop doing what you were doing". However, this is not true! With bleeding gums, the cause is usually gingivitis (inflammation of the gums), with or without periodontal disease (gum disease/bone loss). 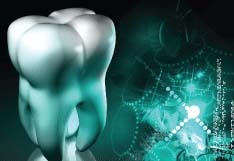 Plaque-induced is the most common form of the disease, which means it is critically important that plaque and calculus be removed from the teeth, rather than avoided. Soft plaque can be removed from the teeth by brushing and flossing properly, but once it has calcified, it will need to be professionally removed. 3) Everyone has sensitivity to cold. It is true that a lot of people experience sensitivity to cold drinks and food, but not everyone does and not everyone has to. The first step to eliminating this sensitivity is to have an evaluation completed by your dentist. Certain habits may be contributing to the sensitivity, decay, or cracks. You could have root exposure, or previous cavities that have been restored, which were deep. These all have the potential to cause residual cold sensitivity. Fortunately, there are treatments available for this—both over-the-counter and through your dental office. Some dentists will even suggest dietary or habitual changes that can be made as well. 4) Periodontal disease (also known as gum disease or bone loss) is a normal part of the aging process. This is completely a myth! There are many factors that contribute to the cause of a patient having periodontal disease, but age is not one of them. Poor oral hygiene, poorly fitting restorations, hard to reach or clean areas of the mouth, decreased dexterity, certain medical conditions, and genetics, are all important factors, and some of these become more prevalent as we age. In sum, age alone does not cause periodontal disease. Some of the first signs of potential periodontal disease are recession and bleeding gums. 5) Getting a root canal hurts! Dentistry has come a long way through the years, and there is increased focus on patient comfort. More than ever before, dentists are trying to create a relaxing atmosphere that caters to the patient and offers patients the opportunity to have their mouths taken care of in a pain-free manner. Before a root canal procedure is performed, the tooth is anesthetized (numbed). Once profound anesthesia is obtained, the procedure can be started. If you are experiencing pain, you are not completely anesthetized and it’s important that you let your dentist know so he or she can make you comfortable. Whether you are having a root canal completed, a tooth extracted, or a simple filling done, it’s as important to me as it is to you that you are not feeling pain while I am working. Erin Stockton, DMD, attended dental school at Nova Southeastern University in Fort Lauderdale, FL and completed a general practice residency at the University of Nebraska in Omaha, NE. 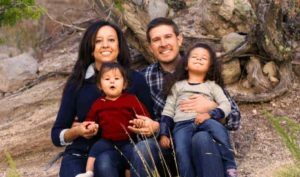 She practices dentistry in Albuquerque with her husband, Seth Stockton, DMD, at Copper Canyon Family Dentistry at 6208 Montgomery Blvd NE #D. They have two daughters and enjoy spending their free time with family – whether camping, having large family get-togethers, cooking, or taking the kids to the park. Dr. Erin Stockton can be reached at (505) 830-9081, or coppercanyonfamily@gmail.com.